At the last minute one year the lectionary study group of which I am a member had a big conversation about stories that could be read during worship as Christmas got closer. I posted the list of books that grew out of that conversation. Since then I have added a few and will continue adding to the list as I find more. Use the comments section to add your favorites. A boy living in war torn area tends a vine that covers a barbed wire fence providing a place of beauty until soldiers rip it out. The boy is heartbroken until he notices sprouts on the oter side of the fence that are being tended by a little girl. Sprouts also appear on his side. As the vine again covers the fence the boy does not worry because he knows the roots are deep and it has seeds. Reads aloud in 5 minutes. Both of these stories one from Russia and one from Italy describe grumpy old women who turn down invitations from the wise men to join them on their trip to see the baby king in order to keep up with their housework. Each later changes her mind, follows after the kings, but is too late. She thereafter distributes gifts of toys and/or cookies to children. Of the two, Old Befana seems more changed and happier in the end to me. But either story is fine. A man recalls the Christmas he was 15 and got up early to do all the milking before his father came to get him to help with it. It’s a bit of a tear jerker, but might offer worshippers ideas for similar gifts they could give their family. Indeed, there is a note at the beginning from the illustrator who says that after hearing this story his children had gotten up in the middle of the night and cleaned the kitchen before the family Christmas party. Reading time just under 10 minutes. 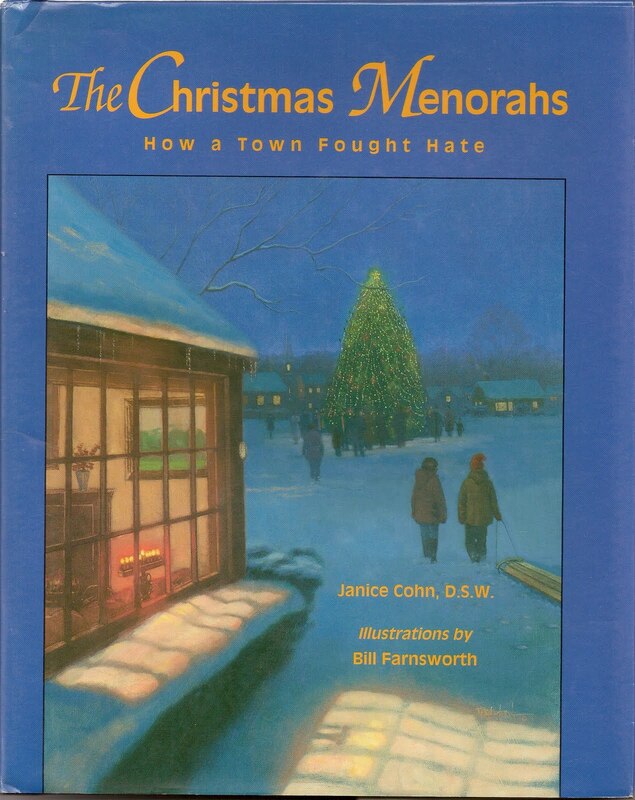 An account of a true event in Billings Montana in which citizens of all faiths displayed menorah’s in their windows after a group of skinheads threw a rock through the bedroom window of a young Jewish boy in town. 40 pages. Read aloud time: a full half hour. Tell it in your own words in much less time. Emma begins Christmas disappointed. It isn’t snowing and her grandmother isn’t coming. She does like her grandmother’s present of a rainbow scarf, mittens and red boots. Sent into town to buy a wreath, Emma gives the mittens to a man standing outside a soup kitchen, uses the scarf to rescue a kitten from a rain barrel and return him to the elderly woman who was his family, and gave the boots to the boy with a hole in his sneakers who was selling wreaths. On her way home she is surprised to meet her grandmother who is proud of her when she tells what she did with her gifts. This might be a good story for the Sunday after Christmas in the aftermath of all the gift giving. Reading time: 10 minutes. All the animals of the forest gather worrying about the two legged ones who have lost their sense of who they are. After describing the ways the two leggeds are lost, several animals offer to give up some of their abilities in order that the two leggeds can come to their senses. Finally, the Great Creator announces that he will become a baby. He points to the great ancient tree and notes that his self sacrifice will be needed to hold the child at both the beginning and end of his life. The art creates part of the reverent mood of the meeting in a deep forest, but the story could be read without showing the art. A good story to match with John’s Prologue. Frances who lives with her mother in mid twentieth century city is fascinated by a homeless organ grinder and his monkey. Her mother does not share her concern for the man. On the way to the Christmas pageant in which she will be an angel, Frances stops to speak to the man and invite him to church. She almost forgets her one line, until the man comes through the door. She shouts her announcement of great joy. In the last picture he is seen at the reception after the pageant apparently welcomed. It’s a bare bones story about welcoming the stranger and those in need. Reading time: just over 5 minutes. 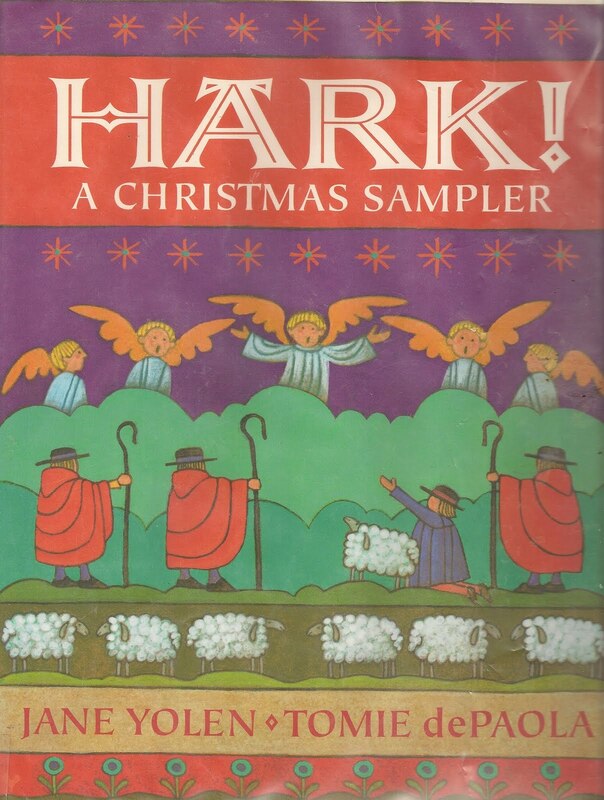 This collection of legends, historical information, poems, and carols for Christmas is full of short items to weave into all sorts of Christmas settings from sermon illustrations to readings at special services. If I could buy only one book for Christmas, this would be it. Las Posadas is a Hispanic reenactment of Mary and Joseph’s search for a room in Bethlehem. In this story Mary and Joseph players are held up in the snow. The Mary and Joseph statue in the local church miraculously take their places. 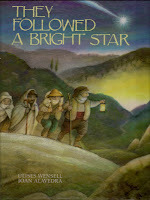 The beautifully told story is a wonderful way for Anglo congregations to see Christmas as celebrated in other cultures. De Paola’s art is of course wonderful, but it not essential to understanding the story. Reading time is just under 10 minutes, but will have to be preceded by a brief introduction to Las Posadas. Non- Hispanic readers will need to practice saying all the Spanish names in advance. Penny’s family saves spare change in a jar all year, then gives it as a special gift to someone at Christmas. This year Penny suggests to her family that they use it to provide a neighborhood Christmas party. As preparations begin Penny becomes aware that an elderly neighbor is sick at home. So, she works with her family and neighbors to take the party to his house and to bring lots of Christmas jars to help with his medicine bills. Reading time almost 15 minutes. 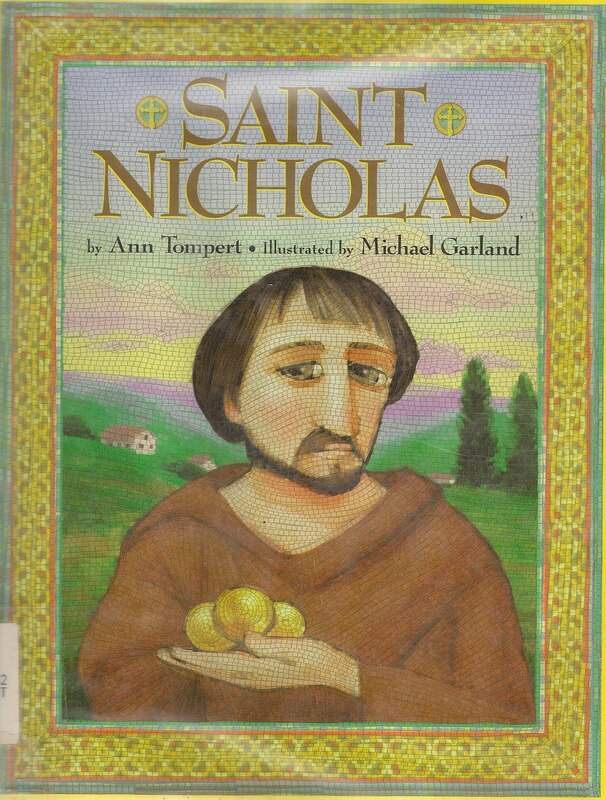 This picture book is really a collection of short stories about Saint Nicholas, the early bishop upon whom Santa Claus is modeled. There is too much information for a single reading or telling. But, one or two of the events recorded here could be either read and told during worship. 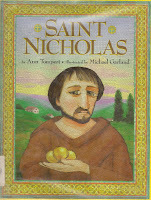 All the stories connect Saint Nicholas more to the care of people with needs than to supplying toys to all good boys and girls. Children who are “in” on the Santa Claus story appreciate this new way of understanding his role. This is a picture book version of “Where Love Is” by Leo Tolstoy. Read aloud in just under 10 minutes. It is currently available mainly in libraries. There are other versions of this story about the cobbler who graciously welcomed three visitors while waiting for a visit from Jesus. Only at the end of the day did he realize that as he welcomed each one, he also welcomed Jesus. During the night a little girl has a conversation with the ornaments on the Christmas tree about which is the star of Christmas. In addition to the expected china doll and elf is a wiseman ornament that insists it is star because of the importance of giving, a silver bell that speaks of music, and a dove who reminds the girl of the importance of peace. Of course, the child in the manger is proclaimed the star in the end. Simple and a little trite, but OK. Reading time: just over 10 minutes. Two brothers in a far away country planned to go to the great cathedral in town to witness Christmas Eve worship in all its glory and maybe hear the chimes ring. The chimes rang only in response to the offering of a truly great gift to the Christ child. They had not been heard in years. On the way to town, the brothers see an old woman dying by the side of the road. The older brother stays with old woman but sends the younger brother on to hear and see what happens at the cathedral and if possible to leave his silver coin on the altar. Great gifts are given, but the bells do not ring – until the younger brother leaves the silver coin on the altar. This old tale is not as familiar to children today, but is well received. Reading time: just over 10 minutes. Aaron, a young resident of Bethlehem, has a dream about a star. The next day he sees Mary, Joseph and the donkey looking for a place to stay. Eventually he leads them to the stable and helps make it warm and snug. The star is overhead. This is a poetically worded, beautifully illustrated restatement of John’s Prologue (specifically John 1:1-4, 14). It begins introducing the Word, then tells that Jesus was the Word and lists many of the things he did during his life. It briefly recounts his death and resurrection and insists that he is still with us now. The story is held together by the Word’s repeated promise, “I will set you free. I won’t let you be anything by holy, good and free.” Read it in worship to answer the questions “who was Jesus?” and “why was the baby Jesus so special?” It can be read meditatively in just under five minutes. The story of the shepherds, especially Joram, who was a very grumpy shepherd. The sense of humor about a shepherd who feels less than reverent as Christmas Eve begins might be especially appreciated by people who arrive at Christmas Eve worship stressed out by all the getting ready. The story could be read without sharing the art. Or, the picture of Joram on the cover of the book could be shown to introduce Joram and his frame of mind. Reading time: 7-8 minutes. Three shepherds who are very different in shape, size, race, and outlook on life respond to the angel’s announcement of Jesus birth. Their responses are both as different as they are and similarly joy-filled. An artistic retelling of the story of the shepherds. Art in the book is beautiful, but small. The words could be read in worship without sharing the art. Reading time: 15 -20 minutes. Simple drawings and sparse words delivered in a cadence tell of the animals getting ready to welcome a guest to the stable. It is probably best used repeatedly (think “Goodnight, Moon”) at bedtime with preschoolers during Advent. The only “problem” with it is that it does not tell who Jesus is or the story of his birth. Mary and Joseph appear on one page and the animals are gathered around them and Jesus in the manger on the last page. Still, it could be read in worship to remind worshipers that just as each animal did something to welcome Jesus, each of us can do simple things to welcome Jesus today. Since the animals are all about “welcoming” their guest, the story can be read just after Christmas as part of a conversation of welcoming Jesus into our world every day. It can be read in worship in 3-4 minutes, even without using the pictures and can take much longer to read with one inquisitive child. A young black boy wants an angel that looks like him to top the family Christmas tree. A carving neighbor surprises him with one that is not only black, but has his features. It raises good questions about what race Jesus and all the others were and what they looked like. Thomas stops by the candle shop to buy a candle for his lantern to get home through the dark. With the candle, he sees his mother’s face in a beggar and gives her his coat, sees his brother in a man in the gutter and gives him money, then arrives home with a new sense of how big his family is. Beautiful art by known painter. This is a more adult story about a young boy living with his eccentric elderly cousin during the Depression. The two share adventures making fruitcakes for Christmas, finding chopping down and bringing home a Christmas tree, and making kites for each other. Reading time: 25-30 minutes. A homeless mother and son live in a cardboard house in an alley. They have decorated it with a calendar page of a December angel. On Christmas Eve they share their small house and one of their two Christmas cookies with a cold stranger who leaves behind a faded rose from her hat to put on their tiny tree. She has gone in the morning, but the boy thinks he sees and hears the angel around their hut. As their luck changes over the coming year, the attribute it to their Christmas angel. A little girl cannot bring to the church the beautiful cloth she and mother were preparing for Christmas. She ends up taking weeds from the road which turn into poinsettias on altar. This book as too many extraneous miracles for me. A young shepherd named Mario and his lamb help St Francis find the cave in which to hold the first Nativity Play. This would be a good book to read around pageant rehearsal time. This book is hard to come by. But, it is one of my favorites for just after Christmas. It tells of the shepherds walking to Bethlehem to see the baby and meeting a man at a well, a fisherman, a plowman planting a grain field, and a couple harvesting grapes. All have seen angels who instructed them to prepare the water, fish, bread, and wine Jesus would need in his ministry. 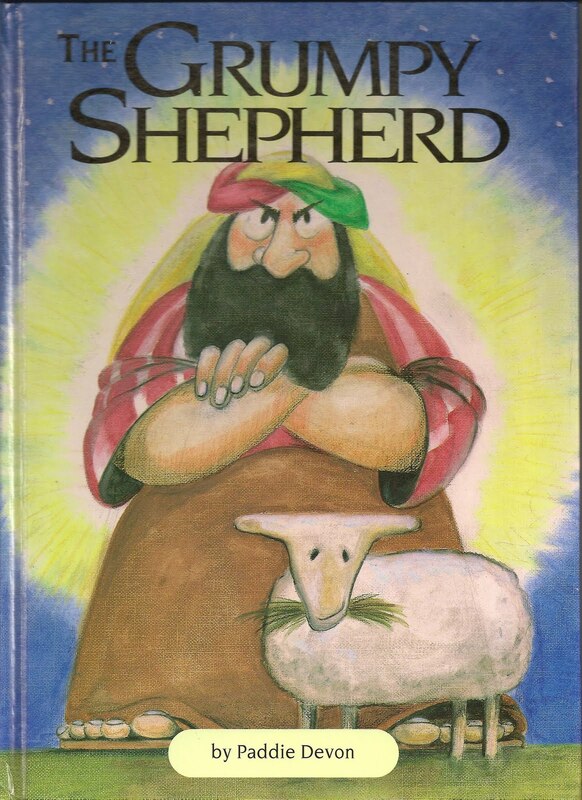 The story might be well used at a post-Christmas communion service to connect the child Jesus to the man. Reading time: just under 10 minutes. The story of a 1950’s family getting ready for both Christmas and the birth of a child. Notable for the family tradition of doing one thing to get ready for Christmas each day of Advent. Mostly they make decorations, bake, and make gifts. Add others you know about with your ideas about using them in the Comments. This list is NEVER complete. Here's one of my favorites: I Am Christmas - by Nancy White Carlstrom. This follows the journey from Nazareth to Bethlehem with such statements as, "I am the bread baked in the oven, packed for the journey, broken and shared with others together with storiess and songs as they walk this way up hill and down going to the town to be counted." It is illustrated in lovely watercolor. The most impressive thing is the tenderness shown between Mary and Joseph in the pictures, and the fact that Mary is obviously pregnant. At the time of the birth, there is a discreet sheet or curtain with silhouette of Joseph handing the baby to Mary after the birth. It also includes the visit of the magi. Each of the "I am the..." passages reflects symbols and names of Christ found in the Bible. At the end are the scripture references to these symbols and names (way, vine, cup, bread, lily or Rose of Sharon, Emmanuel, light, shepherd, door, truth, life, bright morning star, word, and gift). I can see this used as a children's message (perhaps with images on the screen) and then the sermon following it picking up on the various scriptures! I highly recommend the book. Although preschoolers would not grasp the symbols, they would enjoy the poetry and the story of the trip. The next to last page shows Mary with the baby with "I am the gift God gives to his children send down from above to the world. I AM CHRISTMAS." 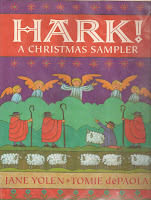 The Sparkle Box by Jill Hardie is a heartwarming book about a tradition that honors Jesus on his birthday. The author's website, www.thesparklebox.com, has suggestions and resources to coordinate with the book. Our church used the book and activities at an Advent program and it has been such a blessing to hear how people are giving to Jesus in honor of his birthday. I've also heard there have been some churches using the book for Advent and Christmas Eve children's messages. Thank you for this list. As a long-time collector of children's books, I struggled to find just the right book for this year's Christmas Eve service. I knew I wanted something about shepherd's and " To Whom the Angel Spoke" is perfect. I never would have known about it without your blog. Many thanks for your blog! It shows all the animals coming together in the stable, with the last animal being the donkey carrying Mary & Joseph. The animals greet Baby Jesus when he is born. I always tell a story on Christmas Day instead of a sermon, and this has become a popular feature of Christmas in my church (St Peter and St Paul, Seal, Kent in the UK). It is a bit nervewracking, as I have to find or write a new story each year - this will be my twelfth Christmas - but so far I have managed to cook up something new each time. Sometimes I have found a traditional tale more or less entire, on other occasions I have written something more or less from scratch, often using some scrap of Christmas folklore I have come across. I always tell the tales rather than reading them, but I do produce a written version as well - Links are on the archive page on our church website here http://www.angelfire.com/planet/sealpeterandpaul/archive.html - scroll down to find the Christmas stories. If they are any use, please feel free to pinch them. The Lion Storyteller Christmas book, by Bob Hartman has some lovely stories in it, and I have found it a good source of stories. If you can find them, Ruth Sawyer's books , The Long Christmas and Joy to the World, and a book of Christmas stories fro the Bruderhof called "Behold that star" - all very ancient, but you might find second hand copies - have good material. Some of the stories in these books need quite a bit of work to make them usable, but they are good source material. my favourite Christmas Picture Book is "Wombat Divine" by Mem Fox. it is about Australian animals auditioning for the nativity, and wombat finds it hard to get a part.